Winter’s gone, snow is melting and temperatures are rising. It’s the start of a magical new season – it’s the start of spring! Suddenly the world around us comes alive with vibrant colours and new life. After being indoors all winter, the kids can’t wait to get outside and soak up some beautiful spring sunshine and fresh air. Spring for kids is a wonderful time of year, as it means more time spent outdoors with friends and family, and is a time to enjoy nature, crafts and fun activities. When is the official start of spring? In most northern hemisphere countries, spring falls between the months of March, April and May, although some countries may differ. Spring and “springtime” refers to the season within the year which follows winter. 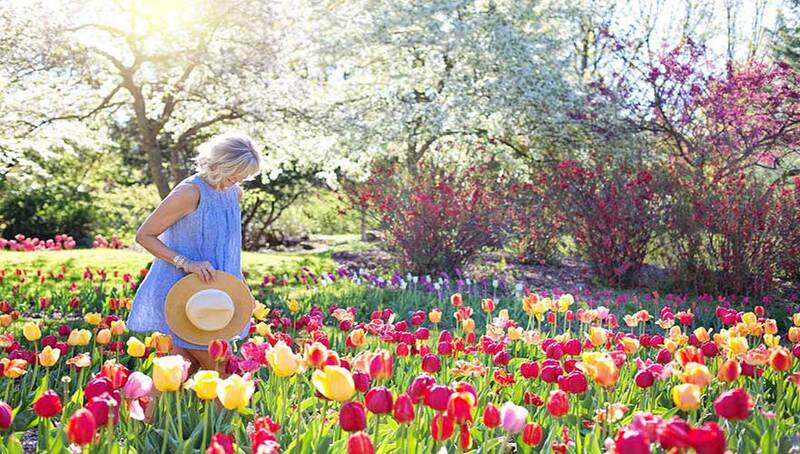 Spring is also the season that often symbolizes rebirth, renewal and regrowth, and the time of year when many new plants begin to grow and flower. Bugs and insects start to appear after months of hibernation. Worms begin to emerge from the earth. In some cultures, the moon in March is called “The Full Worm Moon” because of this. Birds start to appear and migrate northwards, along with the path of the sun. Listen out for the beautiful sounds of birds singing in the garden – increased sunlight triggers birds to sing. Take note of all the new growth of flowers and plants popping up around the garden, as this is a sure sign that spring is on the way! Fun spring activities for the entire family! Why not step into the warm spring weather with a few fun activities for everyone! Spring vacation is a time for families to recharge and have some fun doing healthy activities. Whether you’re planning to relax at home during spring break, or take a fun family trip, here are a few ideas for activities to do with your kids. Make new memories with your family by taking a trip over the spring vacation. 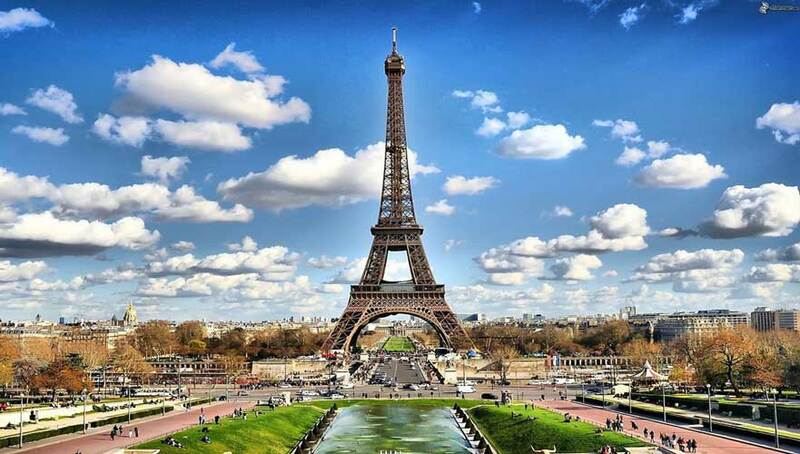 Whether you’re planning to drive or fly, it’s best to do some research to find a family-friendly destination. Take along a few travel games, and healthy travel snacks to keep the kids entertained during the trip. Don’t forget to take photos, because when you return home, a lovely idea for a spring craft activity for older kids would be to create a family collage or photo display to remember their special holiday! What better way to spend a beautiful warm spring day outside than to go on a family picnic! Find a local park where you can walk, ride or hike before or after your picnic. An interesting spring craft activity for the kids is to do a spring rubbing after the picnic. They can label the different rubbings and textures they come across. This is a wonderful way to encourage kids to explore nature and their surroundings. Pack a basket with healthy snacks, take along some family games and toys, and make it a memorable day together. Often, we don’t take the time to investigate and explore our local history and sights where we live. This can be an enjoyable and easy spring activity for adults too! take a walk around your local neighborhood, visit local museums and explore historic sites and parks. There may also be special events being held in your local community celebrating the start of spring. A good place to start would be to visit your local library. Be sure to check out a few English books on springtime and your area’s history! 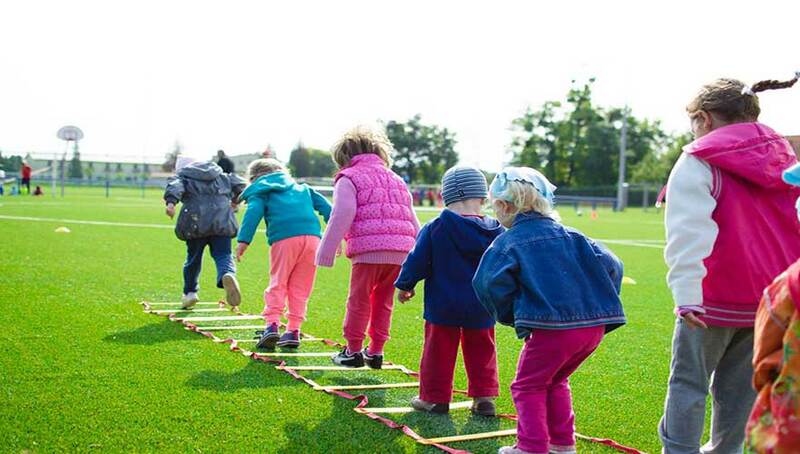 Get the kids active by taking them outside to play some games! Now that the days are longer and warmer, get the kids active by taking them out into the fresh air and sunshine, and play a few active games. Outdoor games such as Tag, and Red Light Green Light will encourage them to be active and get some exercise. Why not get involved by playing along with them? This is also a fun way for you to burn off some extra winter calories! Spring for kids is a perfect time to plant a garden. In many northern hemisphere countries, March is a great time to start gardens and sow seeds. Younger kids enjoy digging in the dirt, so give your child a spade or trowel to prepare and turn the soil. They can start by choosing seeds, sprouting seedlings, or you can buy plants already ready to be planted. If you don’t have a garden, you can use simple planters to plant the seeds into. Your child will take pride in watching their garden grow. When it’s harvest time, get them involved by drawing and labelling different vegetables growing in their garden. If your kids have a dislike for vegetables, this can be a great way to encourage them to try and appreciate eating new vegetables! This is also a suitable spring activity for toddlers aged 3 – 4 years. There are some lovely spring craft activities for kids to do using vegetables from the garden; for instance, get the kids to do some garden vegetable printing. Gardening is a great opportunity for you and your child to spend some quality time together. It’s also great for moving sluggish bodies, and the children will have a wonderful sense of achievement once their garden is complete. It’s good to have some indoor spring crafts and activities planned in case the weather takes a turn. 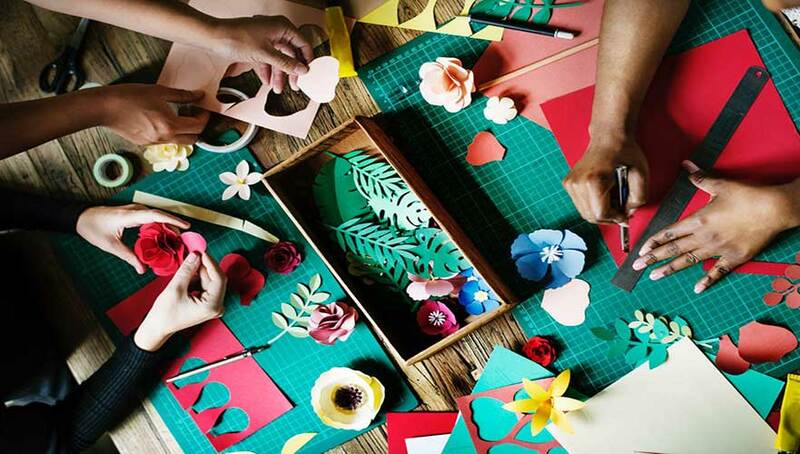 You can learn new skills and create something crafty together. From flowers to rainbows to butterflies, spring crafts will inspire you and your kids to swing into spring! In addition, these spring art ideas for parents are great for helping your child develop fine motor skills, and they’re fun to do at home. These spring craft ideas for children are all made with simple materials, many of which you most likely already have in your home. This a wonderful spring craft activity for toddlers and young kids. It also teaches the kids about the importance of recycling. These cute little spring chicks are simple and fun to make! It will be a great activity for them to get busy with during spring specifically – by using something old they can create something new! This can be an opportunity to explain how nature ‘recycles’ itself every year. When they are complete, the children can then play with, and create English stories about their spring chicks. Another lovely spring craft idea for parents to do with their kids is to make beautiful painted spring butterflies. These are also fairly easy to make, and the kids love getting their hands dirty painting their works of art. Afterwards, the kids will also enjoy flying their spring butterflies outside, and making up stories about their creations. This is a fantastic activity to do with children for encouraging them to use their imagination! Afterwards, you can visit the library and look for English books on butterflies to read and learn from. This spring, get the older children involved by getting them to make their very own Pet Plant. This is an easy spring craft activity for older kids, and bound to create lots of fun and laughter within the home. They can name their chia pet plant and give them their very own personalities! Encourage them to talk to their plants, as it has been shown that plants grow stronger when you pay loving attention to them! The children can even read their English books to the plants. Younger kids might want to draw their chia pet plants. Encourage your child to label the different parts to their plant in English. This is another lovely craft idea to be enjoyed by the whole family, and is a fantastic spring craft idea for adults to do too! This very simple and easy-to-make bird feeder is a must for any garden, and a lovely way for kids to encourage nature in their garden. By making a bird feeder and hanging it in your garden, you will encourage your kids to learn about the different species of birds. They should especially learn the English names! Get the kids to make a colorful bird chart showing all the different birds they have seen, and labeling it in English. By encouraging children to explore the world around them, and by interacting with and being a part of nature, we show a whole new universe to the next generation. Here are some ideas for meaningful interaction and incidental learning. Get involved, be excited and show passion for all that you do. Reading stories at bedtime and doing creative crafts and fun activities will encourage your child to learn. Use new words, which will encourage a greater vocabulary, not only in English but also your native language. When you are out and about, talk to your child and engage in conversation, describing all that they see around them. This will all help to improve their English skills and create a passion and desire to learn more through the gift of reading. 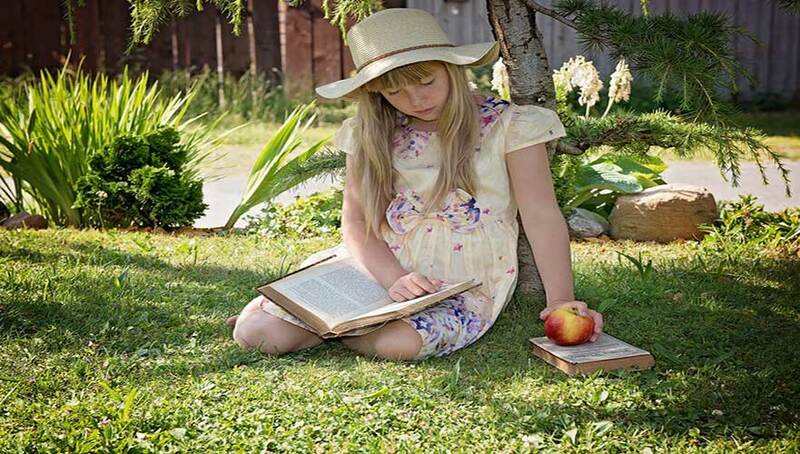 There are many ways for a child to improve their English skills and it all starts with reading. In today’s world, being able to read and speak English can open many doors for our children in the future. So why not help to give your children a head start in life by encouraging them to read with Red Cat Reading!